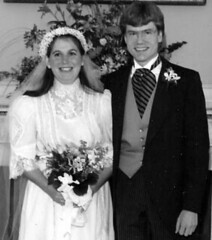 Twenty two years ago on this date (September 14th), my husband and I got married! We've been together for 29 nine years! I celebrated my 20th anniversary in Flickr and with this video (darn the gown doesn't fit this year!) as well as a post marking our long term relationship. Today, I posted on Twitter and got lots of good wishes. There isn't any thing specific on the geek anniversary gift list to mark the 22nd, so we'll toast the date with flowers, a donation to the Sharing Foundation, and a nice dinner out someplace. 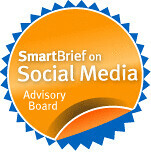 Blogger relations (not to be confused with blogger relationships like I'm describing above) that is blogger outreach came up as a topic in a workshop I did on social media and the arts earlier this week. Given the interest in this topic by many of my nonprofit readers, and since I'm started off this post with a story about relationships, I thought I'd share some advice about how to NOT to pitch bloggers to write about your organization, product, service, or event. 1. Don't have your office intern hapzardly send out a canned pitches, get to know the bloggers first. While I write about nonprofits and social media, I try to approach the topic with a bit of personality - and that means sharing information about me - like the fact I'm celebrating my 22nd Wedding Anniversary. So, why would someone send me a story pitch and press release and invite me to write about social network designed for women who are divorced? I got a good laugh before hitting the delete button. 3. Don't overwhelm the blogger with requests and information. Once you've developed a relationship with trust and respect, then you can begin to pitch. But don't ask them to write about every little thing and don't swamp them with pages and pages of material. Be succinct and make a clear connection between what the blogger is interested in writing about and your program or organization or whatever your pitching. What tricks or tips have you learned about approaching bloggers and getting them to write about your nonprofit's programs or services? If you're a blogger, what advice would you give to nonprofits? What are some of the best resources?